Crankshaft is a part of an engine (yacht, racing car, motor, truck, aircraft, ship, etc. ), that must be balanced to customized rod and piston combination. For balancing, tungsten alloy is used, a natural material that has high melting point, density, and tensile strength. 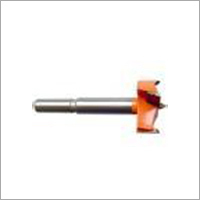 Owing to its environment friendly nature, weldability, machinability and resistance to corrosion, it is used over lead and other material for designing crankshaft counterweights. These tungsten alloy crankshaft counterweights can be used in flywheel of a car. By adding counterweights, one can optimize the car's performance, and have better control of the car's movement. The clients from the automobile sector can contact us anytime to fulfill their crankshaft counterweight requirements. We are the first choice of our valued clients for providing best quality Tungsten Alloy Crankshaft Counterweight that matches the international standards. The crankshaft provided by us is widely used in flywheel to reduce the pulsation characteristic of the four-stroke cycle. Offered crankshaft is manufactured by our skilled engineers in tune with international quality standards using prime grade tungsten and modern methodology. We provide this Tungsten Alloy Crankshaft Counterweight in various technical specifications keeping in mind the needs and requirements of the clients.